Your next car-buying experience should be positive, informative and honest. 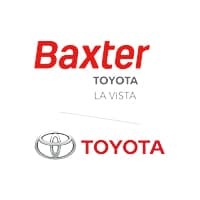 At Baxter Toyota La Vista, you can expect that plus more as our award-winning Toyota dealership in La Vista, NE, offers our customers preeminent service. We go above and beyond to ensure that everything is simple and transparent, as our highly trained sales and finance team members understand the ins and outs of the process. As a 20-time President’s Award winner, which is the highest honor a Toyota dealership can receive, our commitment to excellence remains unremitting. If you’re stopping by to buy or lease a new Toyota, recognize that we have a broad selection waiting for you. Take to the Greater Omaha area in a sleek new Toyota Camry, a sedan that’s both stylish and fuel efficient. Seeking a more expansive interior? Test-drive a new Toyota RAV4 SUV. This versatile crossover can traverse any terrain, and it boasts an exciting set of technology features. We also understand that most people work on budgets. Whether your lifestyle and needs fit into one of our new models or one of our Certified Pre-Owned models, we have something for everyone. We even have outstanding Certified Pre-Owned cars listed under $15,000. Do you need Toyota repairs? Our excellent service center is open six days a week and ready to get you back out on the road. From battery checks and changes to full-scope engine repairs, our technicians work tirelessly to get you back out on the road safely and soundly. Come to Baxter Toyota La Vista to speak to our experts today! Baxter Toyota La Vista is the only locally owned Toyota dealer in the metro area. We’re also family operated and deeply entrenched in the community, as we’re a regular sponsor of Omaha Children’s Museum and other local organizations. We offer convenient Toyota service hours! Our Toyota service department is open from 6:00 a.m. to 6:00 p.m. Monday through Friday, and we’re open Saturdays from 7:30 a.m. to 5:00 p.m. Enjoy free Wi-Fi, refreshments, cookies and donuts while you wait. Schedule Toyota service today! As one of the largest dealer groups in Nebraska, our entire team is expertly equipped to provide you with the information you need to help you find the Toyota that best fits your needs.